Time travel is an alluring power. We’ve all had those moments where we wish we could wind back the clock: a conversation gone wrong, an embarrassing trip and fall, stepping on a Lego brick. Games often give you the power of time travel for greater accomplishments. Saving the world is usually a little more heroic and exciting than using time travel to tell the best joke at the party, and some games make really interesting use of time travel—both through its powers and the consequences thereof. Here’s some of our favorite uses of time travel in gaming. An often overlooked gem of the early Xbox days, Blinx: The Time Sweeper makes use of several time-travel mechanics and a super-powered vacuum to create a charming game about manipulating reality. Blinx is a Time Sweeper, a sort of time-cleaner that goes between dimensions to clean up routine ripples in the space-time continuum, who ends up stumbling onto a much larger conspiracy. The different powers range from simple Fast-Forward and Rewind to Pause, allowing you to completely freeze time, or Record, which lets you create a “recording” of yourself in time to do things that require two cats rather than one. 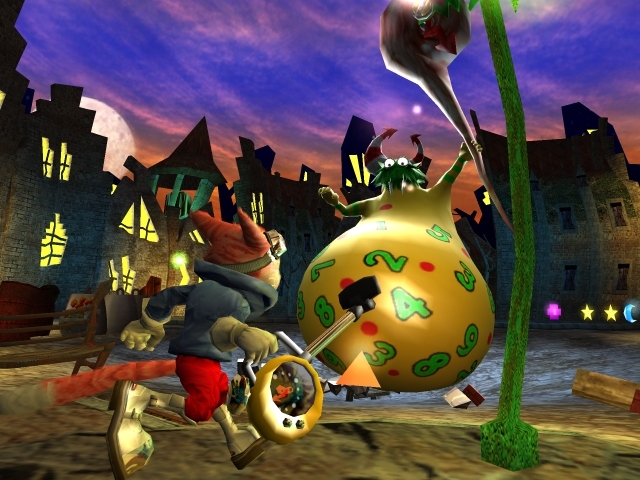 It’s wildly inventive and fun to beat up angry time-pigs with Blinx’s clever array of time-tools. 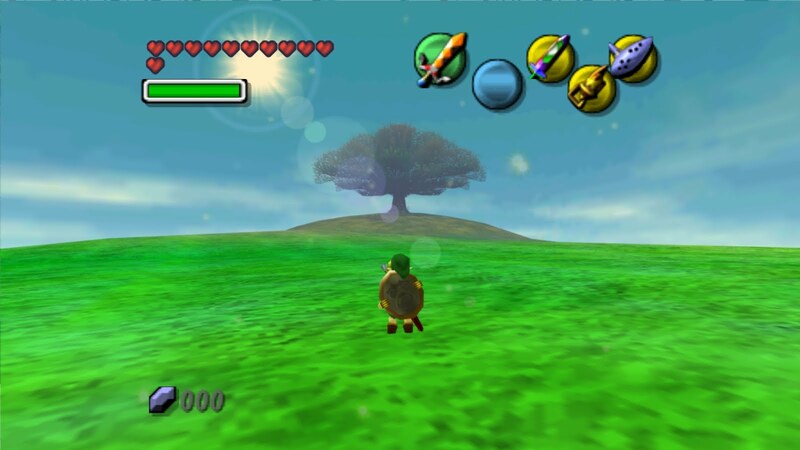 Yes, Ocarina of Time also uses time travel, but not anywhere near the level to which Majora’s Mask employs it. You have three days to stop the moon from crashing into Termina and destroying everything, so you have to constantly rewind the clock, while also solving the many problems that the townspeople have. Puzzles often involve being in the right place at the right time, and there’s a satisfying element of detective work in slowly unraveling the solution to every quest and sidequest needed to save Termina. A controversial title in the Zelda series, but a great time-travelling game. Long ago, I swore to myself that if Dota 2 can feasibly be on a list, it will be on that list. I continue this honored tradition by paying respects to the brilliant time-travellers of Dota 2. Faceless Void, who can “backtrack” damage by foreseeing it and avoiding it, is often the bane of many assassin characters. Oracle can preserve his teammates within a time field, staving off death and damage for a short period of time. The skittering bug Weaver is an insect-like being that weaves time and space, allowing it to revert itself to a former state of being at any time. Take some damage? Time Lapse! Out of position? Time Lapse! Died in a battle? Buyback, then Time Lapse and you’re right back where you were when you died. What’s better than taking down a big bad boss? Doing it with several replications of yourself, all armed to the teeth and ready to act as your personal time army. 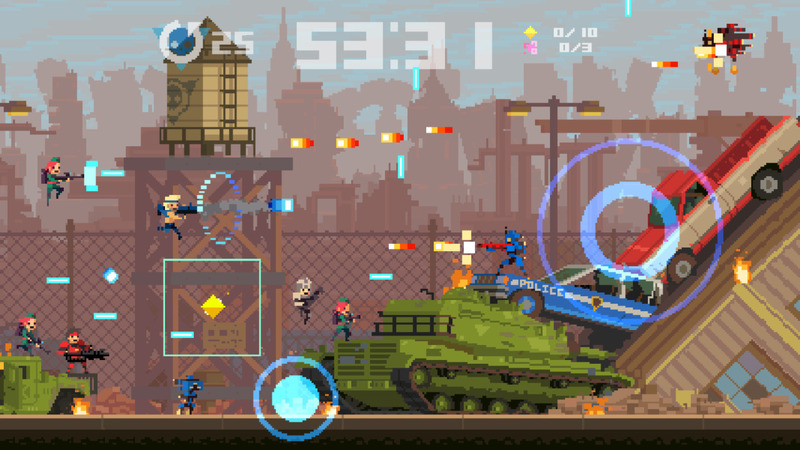 Super Time Force Ultra lets you answer the question: could I theoretically fight anything if I had a ton of me? Fast-paced bullet-blasting action, huge baddies and a really fun way of using time travel to create puzzles and boss fights make this one awesome time travel power fantasy. Plus, PlayStation exec Shuhei Yoshida is a playable character, and he fires emojis. 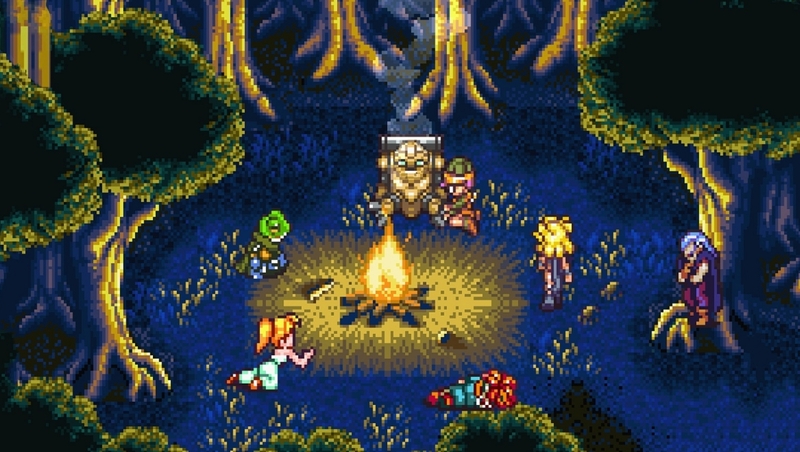 One of the pillars of role-playing games on the Super Nintendo, Chrono Trigger’s story revolves around travelling to different times and dimensions to fight one enemy: Lavos, a titanic creature who will bring death and destruction to the world. In one quest, you can convince a woman to plant trees in a desolate area in the past, and then time-travel to the future to see a giant forest sprung up where the seeds were planted. The time travel is mostly used for plot rather than actual gameplay, but the number of branching endings and scenes depending on when you visit people and when you choose to fight Lavos (and in what time period) give Chrono Trigger an edge few can match. A mixture of adventure game and a sim about constantly choosing between two terrible things, Life is Strange uses time travel to subvert that formula by allowing the player to see just the immediate ramifications of their actions, and rewind if they wanted a different outcome. 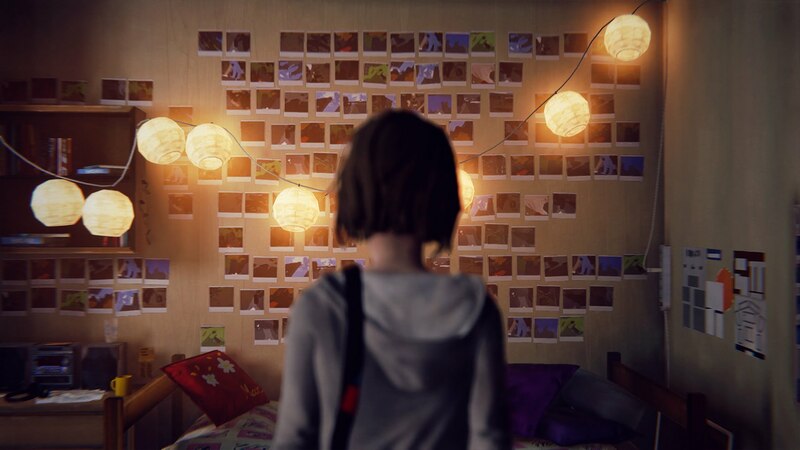 As the episodes progress, Max’s time-travel abilities get more and more powerful, and soon you’re jumping realities through photos, trying to reconstruct the timeline and save both your town of Arcadia Bay and your best friend Chloe. Using time travel to create an adventure story with tons of experimentation and clever mini-puzzles in dialogue is a fantastic change of pace, even if the gimmick segments like “guess what’s in Chloe’s pocket” got a little old. 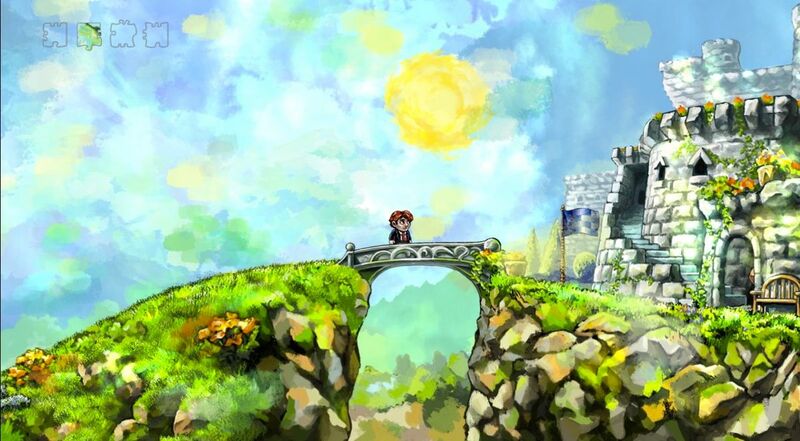 Considered one of the first blockbuster indie titles to come out of Xbox Live Arcade, Braid’s thoughtful use of time-travel to both create logic puzzles and natively convey story segments was simply brilliant. Everything in Braid ties back to the theme of wishing to undo time, to fix a past mistake instead of having to live with the regret and consequences of actions. The puzzles and platforming are also very clever, evoking shades of Prince of Persia: The Sands of Time. One specific level, involving a knight and a princess, uses the time-travel ability to its fullest storytelling effect, and it’s stuck with me to this day as an example of how to both avoid time-travel clichés and to use game design to effectively convey emotional moments.